While taking a walk in the woods on Monday, light patterns revealed faces and figures in the forest ground. Memories took on a mind of their own tonight as ghosts flowed from my soul. Letting them go with a brush, a canvas and a pen. 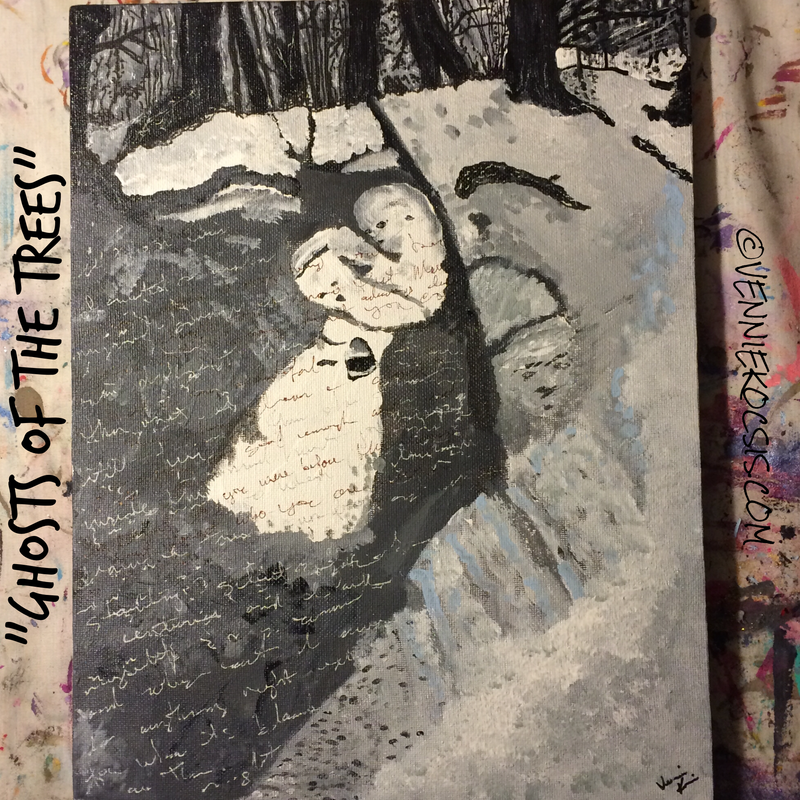 Posted on February 17, 2015 by Vennie Kocsis •	This entry was posted in Swag and tagged acrylic, art, art therapy, artist, canvas, creative, emotion, ghosts, memories, painting, trees. Bookmark the permalink. Snow ghosts melting away, CC – the process of this was so different. At one point I was standing using my phone camera, painting through the phone lens. It’s like the emotions channel my hands and then come out. Then I too look at it and by viewing it multiple times I can read what I purged. It’s such an incredible process that feels at the helm of the ship when it is in movement.